But how do you get diagnosed? Signs – know how to spot potential sleep apnea. 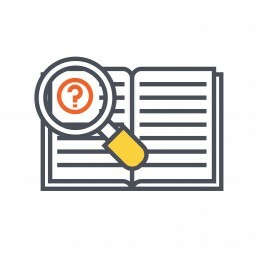 Questionnaires – answer some questionnaires to assess your risk. 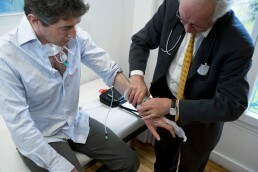 Diagnosis – undergo a sleep study. Treatment – start treatment appropriate for the severity of your condition. 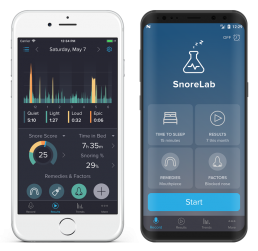 Side note: Can SnoreLab identify sleep apnea? This is a question we get asked a lot. 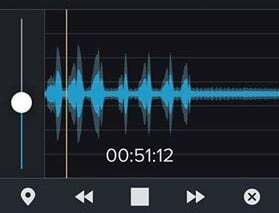 Some users have discovered sounds in their recordings that indicate apneic events, and then found them useful in subsequent medical consultations. It is our goal to create a system to identify risky periods in your session using the tell-tale sign of silence followed by gasping or choking. That said, once we have created this, it will not be diagnostic. This is because sleep apnea is characterised by more than sound profile alone and requires a sleep study to be properly assessed. If you are showing the signs of sleep apnea, before getting more in-depth diagnostic tests, it is useful to assess your risk using some screening questionnaires. Feeling excessively sleepy during the day is a key symptom of sleep apnea. Therefore, it is a good idea to measure your fatigue by using the Epworth Sleepiness Scale . This questionnaire gives you a numerical score based on your self-assessed likelihood of falling asleep in certain scenarios. A score of sixteen or higher shows that you are very sleepy during the day. If for two or more of these categories, you score two or above, you are at high risk of sleep apnea. Because snoring sound alone is not a reliable indicator of sleep apnea, other qualities need measuring too. 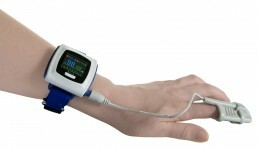 This is done via a procedure is called polysomnography (poly = many, somnus = sleep, graph = drawing/measurements) and is usually conducted by a trained professional at a sleep clinic. With SnoreLab’s insights, you can read about the different types of CPAP mask and solving common issues with CPAP. If you’re a loud snorer and find yourself feeling sleepy throughout the day, you may be suffering from sleep apnea without even knowing it. Being aware of the signs and using questionnaires is useful to assess your risk, after which it might be a good idea to present to your doctor. With in-depth sleep studies that can be done at a specialist clinic or at home, you make that important step away from the masses of un-diagnosed people to become someone who understands their condition and knows what to do about it.